SURPRISE! Master gasps, then laughs and cries. He can’t believe his ninja eyes! Streamers, poppers, candles, cake—he’s delighted by the party and by the thoughtfulness of his little ninja charges. There’s even a gift: a dragon-in-the-box who pops out for one last scream. 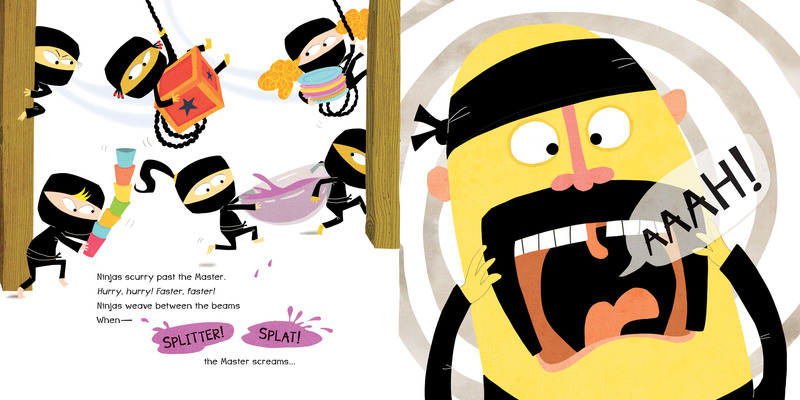 Chris Tougas’s digitally rendered ninjas pop off the page once again in this laugh-out-loud story. 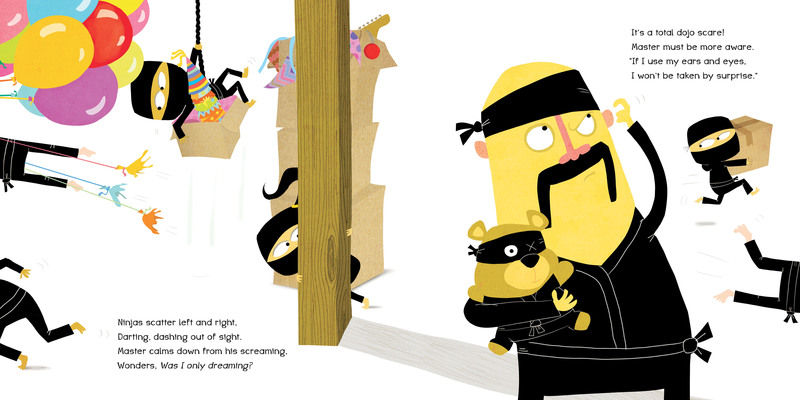 Told in rhyming verse with a playful rhythm, accompanied by hilarious illustrations and big sound effects, Dojo Surprise makes for a riotous read-aloud with a kindhearted message.